If you are wondering to travel from Fort Lauderdale to Kissimmee or nearby? Well, there are many ways available to move in and around Florida. In fact, to reach Kissimmee from Fort Lauderdale, guests can take benefit of fantastic mass transit, including shuttle buses. 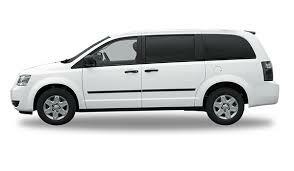 These shuttle buses on daily bases, as well as from Fort Lauderdale to Kissimmee with a broad range of areas. After all, when you are on a visit to Florida, particularly for solo vacationers, shuttle bus transfer can be the most cost-effective way to opt. In fact, Fort Lauderdale Airport in Florida can be reached quickly by shuttle buses from Fort Lauderdale, Fort Pierce, and Kissimmee as well as many more cities located in Florida. With the easy-to-reach and smart transportation assurance, these shuttle buses can allow you to make access to all the touring wonders settled between Fort Lauderdale and Kissimmee. The size of your group is not your problem, and you can travel and explore sightseeing attractions around Fort Lauderdale and Kissimmee peacefully. As we know that, price plays an important role when we want out of city especially when it uses to transporting from Fort Lauderdale to Kissimmee. Among all the options for transportation in Florida, shuttle bus transfer stands out to be one of the public preferences to go with this. That’s the primary cause of why visitors choose shuttle bus for traveling from Fort Lauderdale to Kissimmee due to its last level of convenience and reliability. Nowadays several shuttle bus transportation associations give two types of services, like shared shuttle bus and private shuttle bus transfer to provide the perfect match to the customer’s requirements. However, shared shuttle bus services are quite open to multiple towns in the area. Sometimes, it needs reservations in advance. Even, private shuttle transfer services should be reserved ahead of your visit and may give the best and compelling value for little groups. When booking a shuttle bus from Fort Lauderdale to Kissimmee, you should compare all available offers as the costs and conditions may vary. You can travel with multiple famous transportation providers like Go Florida Shuttle. That will surely take a day to drive you anywhere to and from Fort Lauderdale and Kissimmee. As per their options and number of travelers together with their number of stations throughout the way, they will ride you to the addresses of your choice comfortably. So why don’t get joy while using time with your family and friends by keeping the money for your next trip from Fort Lauderdale and Kissimmee with Go Florida Shuttle.